Product prices and availability are accurate as of 2019-04-15 02:37:00 EDT and are subject to change. Any price and availability information displayed on http://www.amazon.com/ at the time of purchase will apply to the purchase of this product. 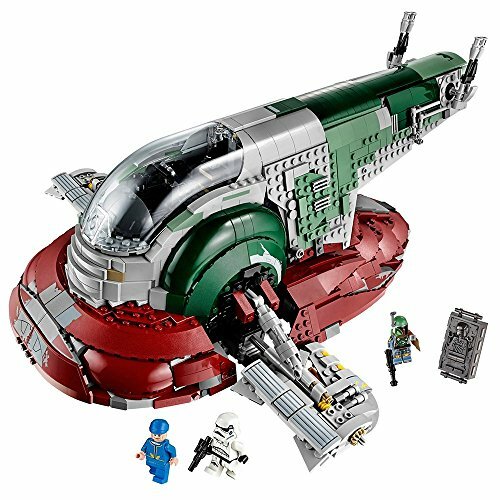 Track down fugitives with legendary bounty hunter, Boba Fett aboard the powerful Slave I! 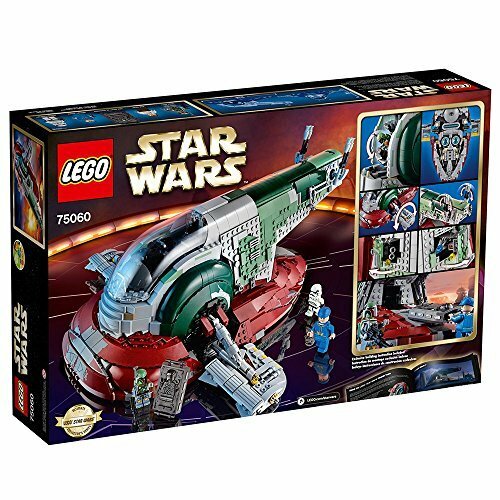 This exclusive LEGO Star Wars model features a rotating cockpit and wings for flight and landing mode, plus dual shooters and hidden blasters to repel attackers. 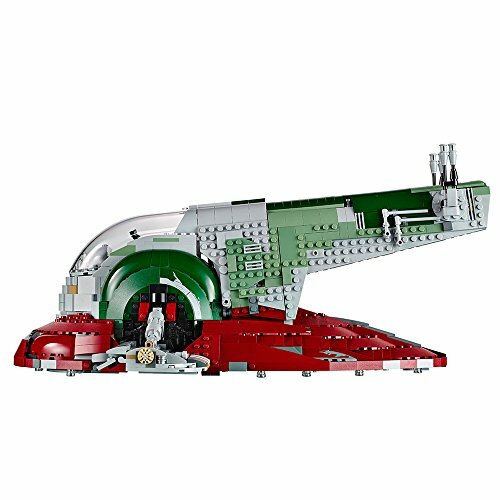 Reenact the capture of Han Solo in Star Wars: Episode V The Empire Strikes Back and take off from Bespin with the carbonite-imprisoned Rebel hero in the cargo hold. 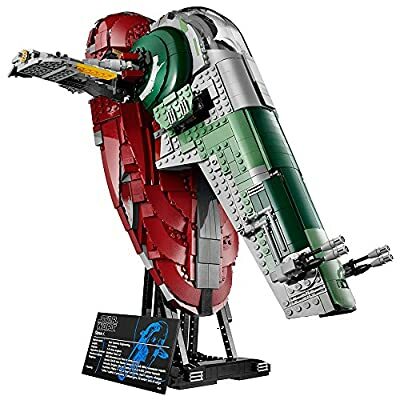 Attach the stand to display this iconic ship in characteristic upright flight. 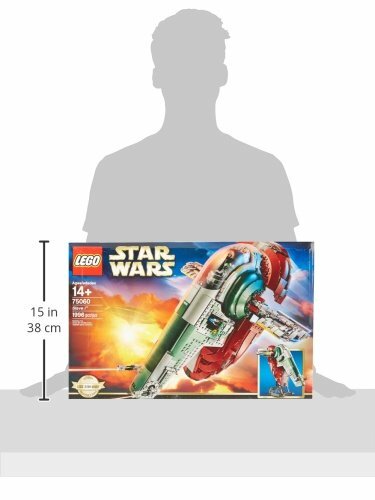 Includes 4 minifigures with weapons: Boba Fett, Bespin Guard, Stormtrooper and Han Solo.